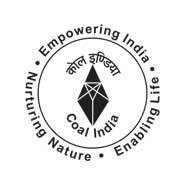 11 April 2019 - Explore Director Marketing jobs in Delhi with 4 years to 4 years experience via Coal India Ltd. Register here to apply online for similar kind of Director Marketing jobs. Experience : The applicant should have at least five year's cumulative experience in marketing during the last ten years in an organization of repute. Experience in marketing, rail and multi-modal transportation, sales forecasting and planning, quality management and commercial contracts, in coal sector will have added advantage. Last time/date of receipt of complete application duly forwarded to PESB is by 15.00 hours on 15/05/2019.